About $2.43 million (R30 million) has been given to 60 students from the Mpumalanga province in South Africa. 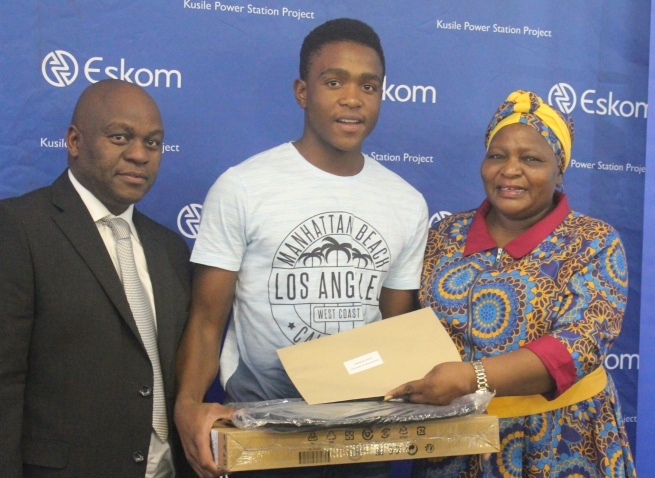 The amount was given in bursaries by GE Power in collaboration with Eskom and will run for a period of four years, covering accommodation costs, books and a living stipend with Eskom also giving laptops to each of the bursary recipients. The 60 students, who are from Ehlanzeni, Gert Sibande and Nkangala district respectively, will study at more than 10 higher learning institutions across the country. Commenting on the development, General Manager of GE Steam Power in Sub-Saharan Africa, Lee Dawes, stated that, “GE’s Steam Power business believes firmly in supporting the South African government’s commitment to skills development and we are proud to be a key participant of this initiative. Also speaking, GE Steam Power Project Director at Kusile Power Plant, Ms Nthabiseng Kubheka, stressed that, “The future of the African continent is reliant on skills especially in science, technology, engineering and mathematics and these bursaries will ensure great progression of empowering the youth of Mpumalanga,” adding that, “This initiative is one of many programs that GE’s Steam Power business is implementing to empower the youth with skills especially in communities where we work” she added. Eskom is a utility power company operating in South Africa.